Before I get to today’s episode, which includes an interview with the smart and talented Rachael Herrscher, a quick update on the podcast! New episodes will now be published once a week on Thursdays, starting next week! Let’s get to today’s episode! First I share a great tip for making tasty tacos. 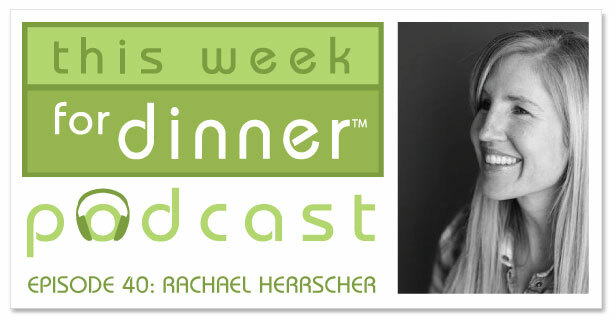 For this episode’s interview I chat with Today’s Mama CEO Rachael Herrscher. Rachael is smart, funny, kind and just all around awesome. We talk about our mutual love for Atul Gawande (we love you, Atul! ), sweaty hairy cartoon monkeys that stress us out, Rachael’s journey to healthful eating, and, of course, her favorite kitchen tips and favorite recipe. Lots of good stuff – enjoy!